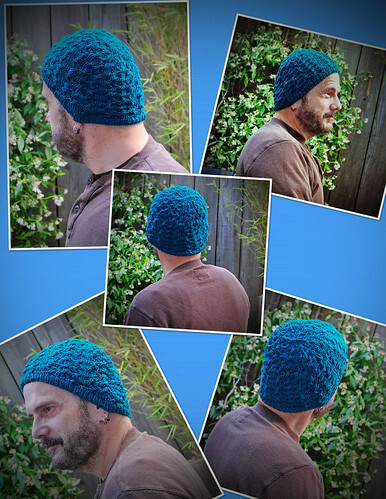 Euryale is a unisex hat. In Greek mythology, Euryale (Εὐρυάλη) (pronounced UR-RYE-AH-LE) was one of the two Immortal Gorgons. The pattern is full of cables, symbolizing her intricate hairstyle full of snakes. It has been adapted for knitting a hat on the Rnd. It has a lot of versatility, for many shapes and head sizes. It is an un-stretched 15 “ ribbing; that fits a 22 inches head when worn.